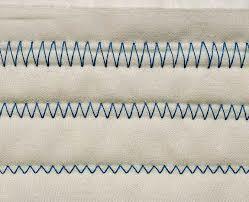 A zigzag stitch isn’t all that complicated, especially once you have gotten to grips with your machine a little bit. However, it is a much sturdier stitch than the basic straight line, meaning that anything you sew using it will hold together much more effectively and is less prone to stitches come loose or tears. As part of our series on learning how to sew using a sewing machine, we are now going to be look at the basics of actually using your machine. Assuming you have become acquainted with your sewing machine, here we will be taking a look at how to tackle the most basic skill in machine sewing, so you need not worry about damaging any of your fabrics.